We are committed to working with you and look forward to creating a wonderful event just for you. If you're planning a bridal brunch or afternoon affair, Twigs & Tea is the perfect place for your beautiful event. We offer our full lunch and tea menu to our guests. Our dining room is quaint and classic; we would love to help you host a party to celebrate this special event! We promise to make sure that the lady of the hour, the bride-to-be, has a wonderful time. For pricing details and to reserve the tea room for your bridal shower, call Debbie Cook at (317) 578-2550. Now your favorite Tea Room offers event catering! Relax and let Twigs treat you and your guests to all of your Twigs favorites. Join us for Afternoon Tea and experience the beauty of Twigs & Tea, just like being in Europe! You will be served selections of scones, finger sandwiches, seasonal desserts and more. Afternoon Teas are by reservation only and are available from 1-3pm, Tuesday through Saturday. 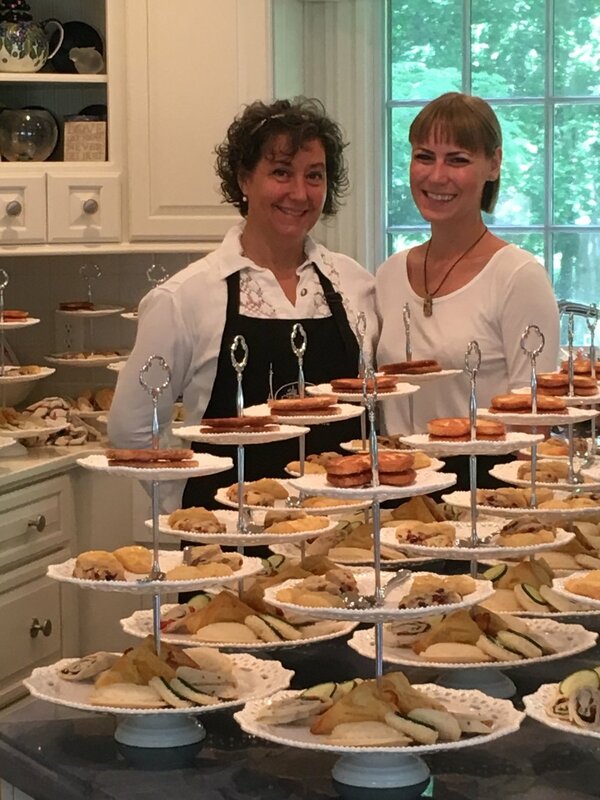 For catering details or to schedule an Afternoon Tea, call Debbie Cook at (317) 578-2550. Your baby shower is a one-of-a-kind event and as such it deserves a one-of-a-kind experience! Twigs features a unique collection of baby decor, gifts and more. We offer our full lunch and tea menu to our guests. Our dining room is intimate and cozy; we would love to help you host a party to celebrate this special event! We promise to make sure that the mother-to-be has a wonderful time. For pricing details and to reserve the tea room for your baby shower, call Debbie Cook at (317) 578-2550.